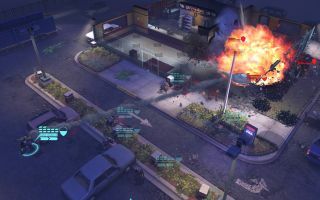 Long-suffering Linux gamers will get a nice treat later this summer as XCOM: Enemy Unknown will finally make its way to the platform, in a bundle including all add-on content and the Enemy Within expansion. The "new" game is being developed by Feral Interactive, which until now has worked exclusively on games for Apple platforms (including the OS X version of XCOM), as its debut Linux project. The Linux version of XCOM: Enemy Unknown will be a SteamPlay title running under Ubuntu 14.04 and SteamOS , and will include the original game plus the Slingshot and Elite Soldier DLC packs. More significantly, it also includes the XCOM: Enemy Within expansion that adds new base facilities, weapons, research projects, upgrades, and of course plenty of new and interesting ways to die at the hands of the rapacious alien invaders. There's no release date or pricing info yet, but as a SteamPlay title, those who already own the game on Windows or Mac should automatically have access to the Linux version once it's out. There's also a pretty cool trailer heralding the game's announcement, which is perhaps a bit more action-packed than the actual game, but I don't think XCOM is really a secret at this point; if you're buying it for Linux, the odds are pretty good that you already know what you're in for. In the meantime, you can find out a little bit more about what's coming (and listen to some ominously moody background music) at Feral Interactive's XCOM page .